In recent years, along with the city grid continues to expand and electrical loads of rapid growth, at the same time in rural power grid power lines long, and line loss the characteristics of big, the original 10kV voltage level distribution has been difficult to satisfy the power supply requirements, gradually exposed its power supply distance line loss rate, high voltage is too much, the quality requirement is difficult to weakness. And the 20kV voltage grade power supply has increased power supply voltage, and to ensure the quality, reduce the power loss, save power grid construction cost and a series of advantage. So the 20kV voltage power distribution level power supply is the inevitable trend, is imperative. ZW32-24 type of outdoor high voltage ac vacuum circuit breaker is three-phase ac frequency 50 Hz, the rated voltage is 24kV outdoor switch equipment, applicable to all kinds of different nature of the opening load and frequent operation situation, apply to city nets, rural, mining and power equipment such as railway construction and renovation. 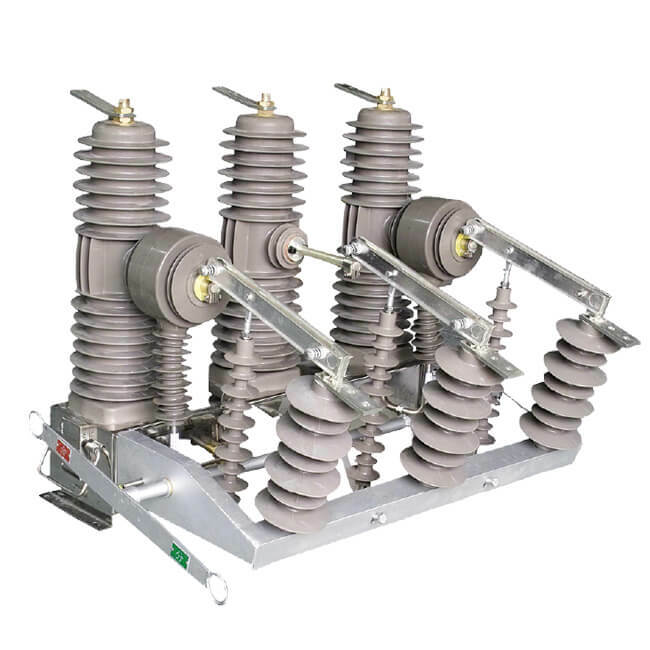 The product is absorbing foreign advanced technology, based on domestic raw materials and technology developed on the base of successful suitable for China’s national conditions of 24kV outdoor high voltage switch equipment, up the international similar product has miniaturization, free of maintenance, intelligent etc. Characteristics. At the same time this product to the surrounding environment free from contamination, is the green environmental protection products.